You may find it odd that I am starting an article about a Fujica ST-901 SLR by writing about an Asahi Pentax SV instead, but please bear with me. Last winter I decided on a back to basics approach to my photography. Digital took a back seat. In fact, it was locked in the boot or maybe left by the side of the road. I craved simplicity and I found it in an Asahi Pentax SV, one of the most elegant looking cameras I have ever set eyes upon. No meter, no distractions in the viewfinder; just me, the camera, the fabulous Takumar 55mm f/1.8 and a hand held meter. 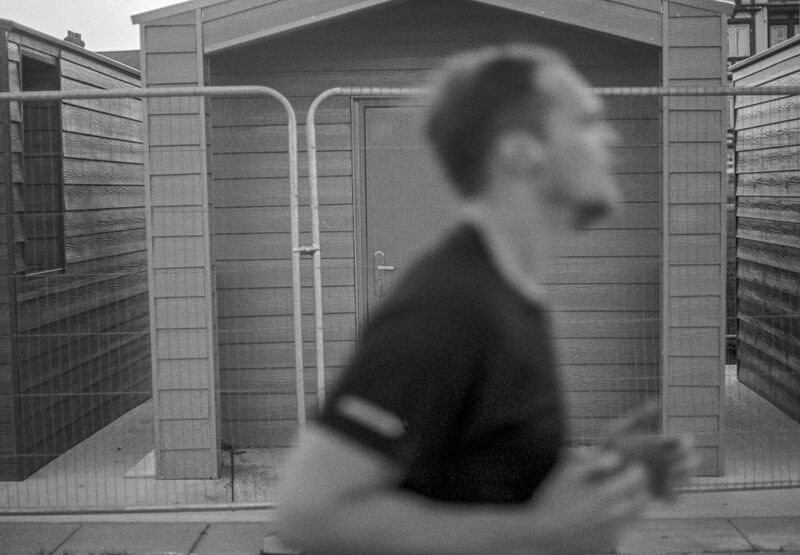 Slow, methodical, carefully composed images came my way, but so did a few slightly out of focus frames too. Silver and black, back to back. This was for two reasons. A pair of 51 year old eyes that were losing a bit of near sight, and that simple viewfinder. I basically found it somewhat difficult to focus. No, difficult is the wrong word. With young eyes, I am sure it would be no trouble. Things just snap into focus. I think the correct phrase is ‘tiring’. Middle aged eyes tire more easily. They tax the brain. Confirming focus in a viewfinder with no split image was proving tricky for me. I tried reading glasses, but I am spoiled by dioptre adjustment on modern cameras. I can’t get on with that glassy barrier between my eyeballs and the finder window. I love using the SV. It’s such a classy camera in looks and performance, but I couldn’t see myself using it regularly. What to do? I wanted to stay with the M42 mount and the wonderful world of reasonably priced lens gems to choose from, but I needed that split image. 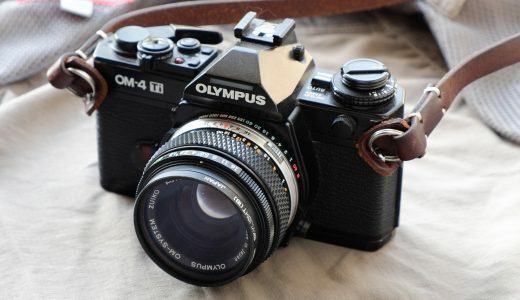 So I took to the web and sought out an M42 mount SLR with a split screen finder. I discovered that there aren’t that many about. 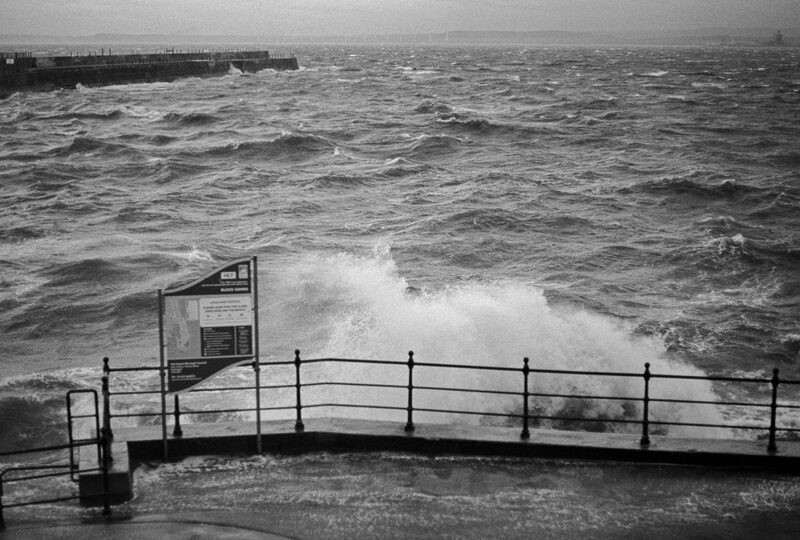 I eventually settled upon what was being described as a silver untested Fujica ST-901 with a mucky viewfinder from across the Channel. It was cheap and looked in decent nick, so I bought it. As I waited for the Fujica ST-901 to make its way from France I found out what I could about this model. I knew that I would be able to use it in full manual mode if the battery chamber was crudded up and/or the electronics were shot. This would limit me to a small range of 5 shutter speeds (60, 125, 250, 500, 1000) selectable from a top dial, but that was fine by me. It appealed to my simplicity mantra. Some cameras look better in silver; others in black. What do you think here? Anyway, it arrived, and it was in very good condition. It just needed a jolly good buffing, which I duly obliged it with. The viewfinder crud turned out to be a mucky mirror, with the dirt easily removed with a cotton bud. So I attached the 55mm and happily used the Fujica for many weeks in its limited, battery free mode. I intended to source a battery to see if it worked in auto mode, and to try out its groundbreaking implementation of LEDs, but I just forgot about it. I was continuing to enjoy the simple approach. The Fujica ST-901 could not be described as an elegant camera in the way the Pentax SV is with its curves, purring shutter and gorgeous winder arm. It’s boxier, but not at all ugly. 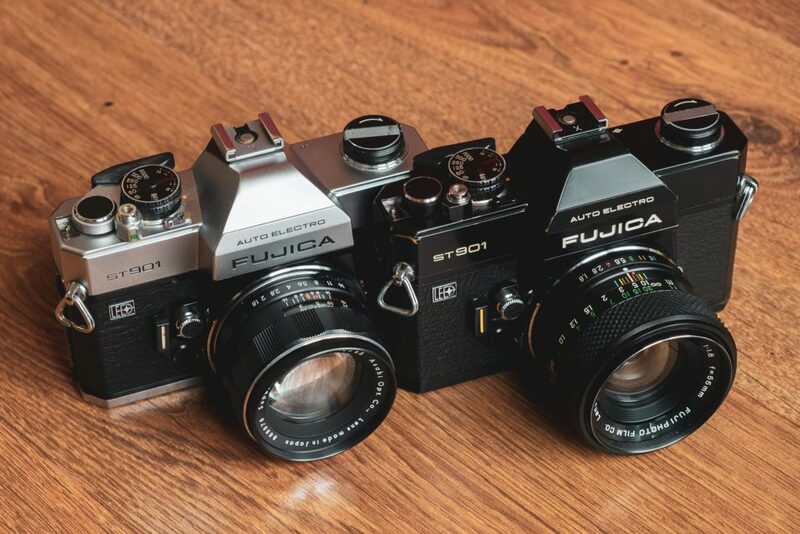 If I could visually compare it to a modern Fuji camera, it would be the XT-10 and XT-20. It’s heavier than the SV too, as you would expect. It’s shutter is pretty loud too. You certainly know you have taken a picture. I liked it though, as we got along reasonably well due to fewer focussing errors. Then, one day, a rummage through a drawer changed everything. It was the kitchen drawer; that one where needles and cotton live, screwdrivers rest between jobs, and AA batteries wait to be deployed. In that drawer looking for something now forgotten I found an LR44 battery, or as it is known from now, on ‘my precious’. I took it to the Fujica ST-901, unscrewed the battery chamber lid, and popped her in. Replacing the lid, putting my eye to the finder and half-pressing the shutter release, I was expecting nowt to happen, and nowt did happen. Bah! Oh well. But ah! I needed to turn the top dial to Auto. I duly did, returned my eye to finder, half pressed the shutter again, and bloody hell, the bugger worked! Small red LED numbers flickered at the top centre of the finder. Small, obviously inaccurate shutter speed readings that is. Almost but not quite again. I decided it was time to consult the manual I had acquired, now that I had something to consult it about; for the Fujica St-901 meter to work correctly and choose an appropriate shutter speed, an EBC Fujinon lens has to be attached to the camera. These lenses ‘communicate’ with the camera body, ensuring accurate exposure. They also have a locking pin, essential to ensure the lens and body align precisely to allow correct exposure to be calculated. So, you could say it’s screw mount, but not quite as we know it. These quality Fujinon lenses had compatibility issues with other M42 bodies because of this proprietary implementation. 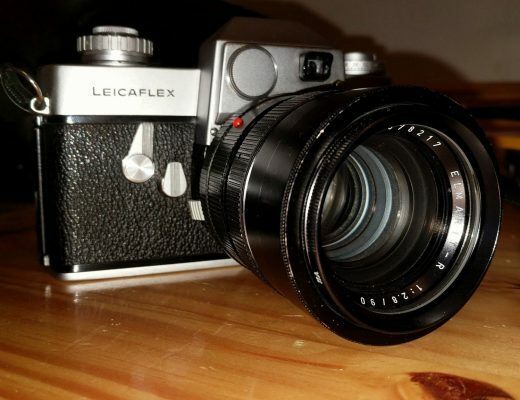 Modifying a long in the tooth mount may also be why Fuji abandoned it after this camera and went bayonet with the AZ1. But I am getting ahead of myself. I needed an EBC lens, but being a bit tight I choked on the prices I was seeing (maybe they are quite scarce or have some cache?). Eventually, to my delight, a EBC Fujinon 55mm f/1.8 came onto my radar. Even better; it had an untested black ST-901 attached. The body and lens together were purchased for not much, and yes, the camera is fully working. I scraped a bit of green crud from the contacts and that was that. It has a bit of brassing too, which always looks the mutt’s nuts. It was at this point with a fully functioning electronic stepless shuttered, LED blinking, aperture priority exposing, split imaging, big beautiful findered camera, that I realised I had strayed quite a long way from the purist principle I had applied at the back end of the year with the SV. In my hands I had a camera that both looked back to the past and pointed the way to the future. 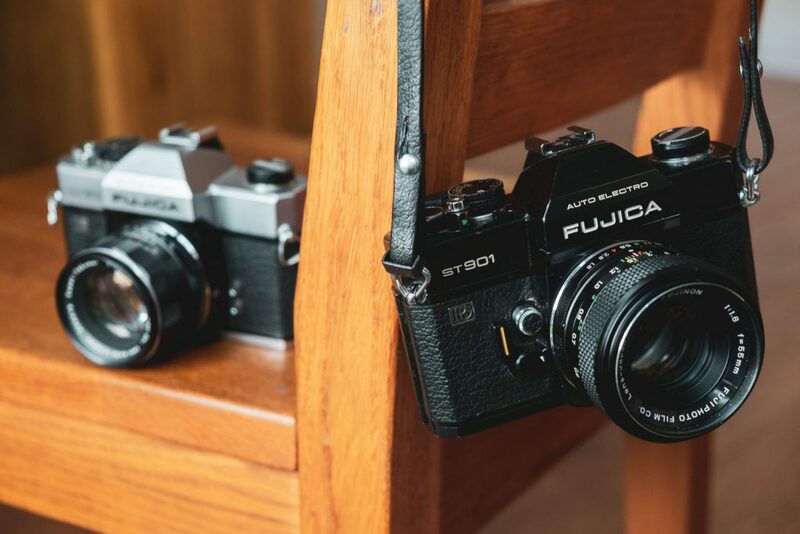 Looking to the past, the Fujica ST-901 was one of the last M42 SLRs brought to market (1974). Bayonet was king of the seventies. Looking to the future, the match needle surrenders to the LED. Then the LED begat auto focus. The implementation takes me right back to early digital watches. My eldest brother had the first digital watch I had ever seen. I think it was a Casio and it had a totally blank reddish black glass screen. You had to depress a silver button on the side to display the time in red LED’s. It was an ‘oooh’ moment when I first witnessed it in operation. Ooh! 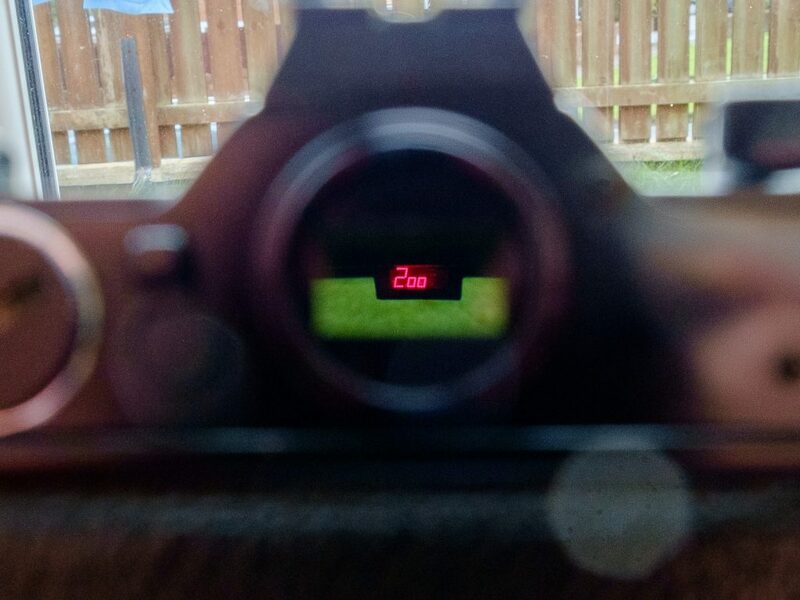 Digital readout of shutter speed in the viewfinder. A world first. The Fujica ST-901 viewfinder lights up in a similar way. You half press the shutter release and see digital numbers appear in what looks like a miniature rear view mirror. The shutter speed given in the viewfinder is an approximation. It looks like the programming couldn’t match the stepless shutter technology, so what you get is a big whole number in the left most LED cell and small noughts in the rest. 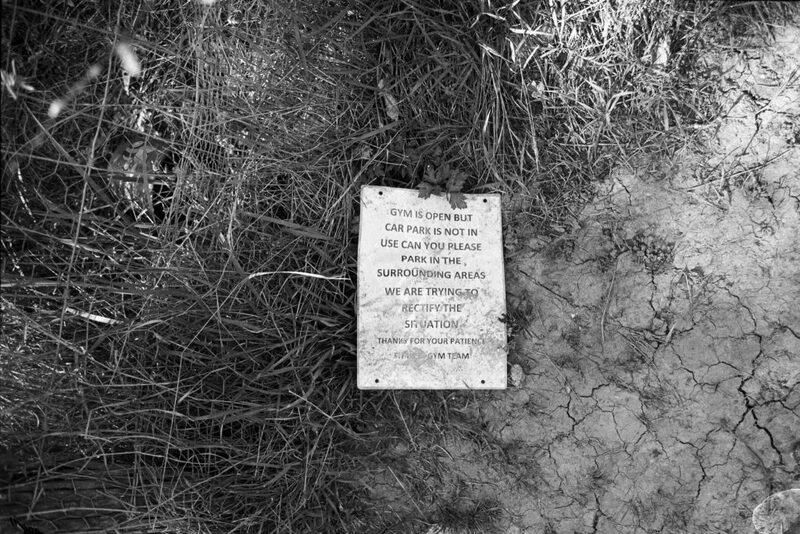 E.g 1/125th sec will read as 1oo. 1/375th will read as 4oo. The question is, does 50 round up or down? 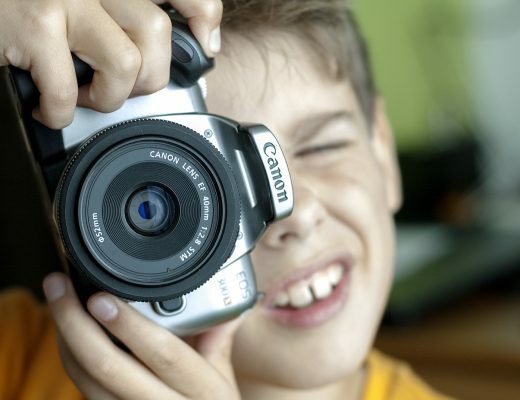 The electronic shutter range is 1/1000th to 20 seconds. Not bad. 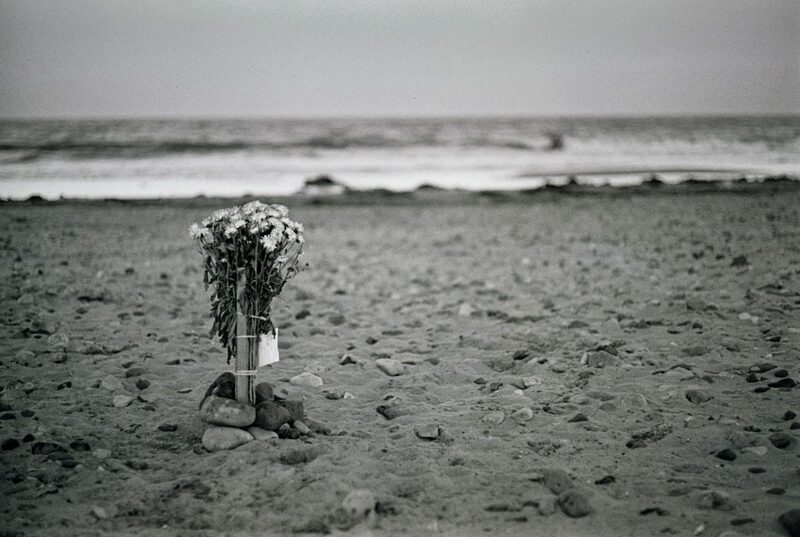 The Fujica ST-901 has other virtues though; nice touches you expect from he flagship of the Fujica range. There’s an eyepiece shutter, a pivoted film advance lever (never seen one of those before) and the shutter release, depth of field preview button and mode dial all have locks. The viewfinder magnification is x96 with a 92% field of view. That’s not bad, trumping some of its competitors and any modern DSLR. By 1974 though it was becoming clear that the screw mount was indeed screwed. Fujica were the last SLR maker to go bayonet, but they had one last hurrah with their next camera, the AZ-1, which was the first camera to be sold with a zoom lens as standard (a curious 43-75mm focal length range). It was also becoming apparent that the promise of microelectronics was starting to deliver. When I look through the hybrid finder of my X-Pro1 (which I still marvel at), I realise that the information rich viewfinder started with the information modest ST-901; and how about this – you can swap the screw-in dioptre between an X-Pro1 and an Fujica ST-901. That’s +1 for me. 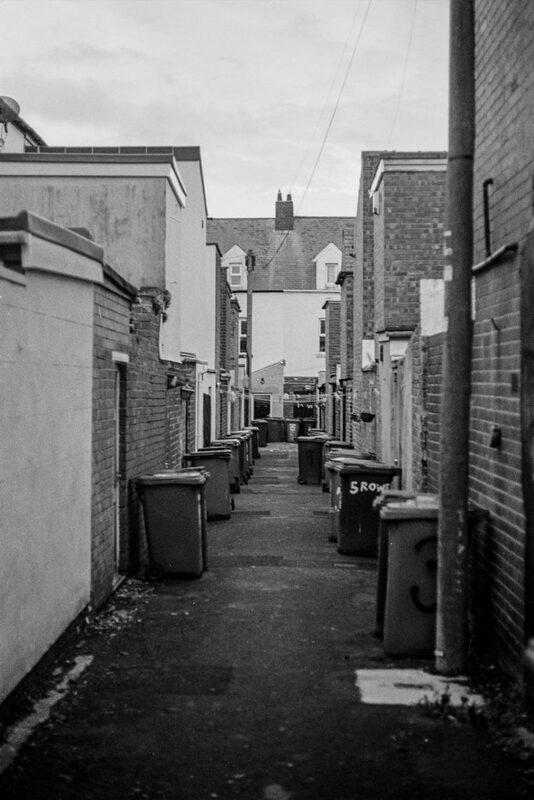 The following images were made in Hartlepool with two Fujica ST-901 cameras. 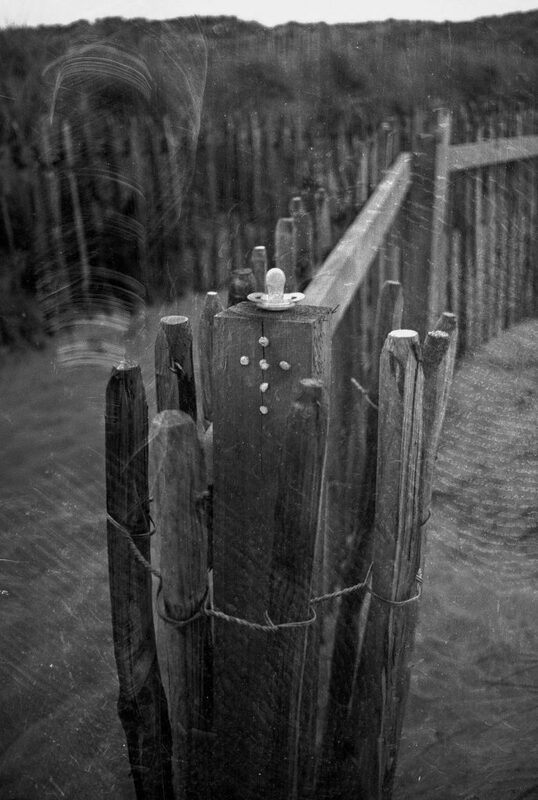 The first 6 images were from the silver camera mounted with an Asahi Super-Takumar 55mm f/1.8. 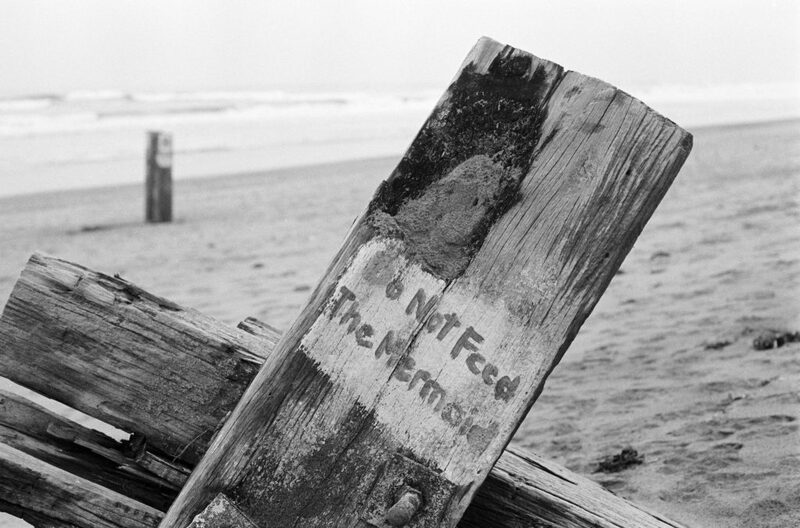 Film used was Ilford FP4 and Rollei RPX100, both developed in XTOL. I damaged a frame, but I feel the damage adds rather than subtracts on this occasion. Metering was made with a beautifully simple Prinzlite V hand held light meter. This second half dozen images were made with the black camera mounted with a Fujiphoto EBC Fujinon 55. f/1.8. Film used was Kodak TMAX 400, developed in ADOX FX-39II. The Fujica ST-901 dealt with the metering and exposure, using what was in 1974 the “world’s most advanced automatic exposure system”. In 2018, I have no complaints. 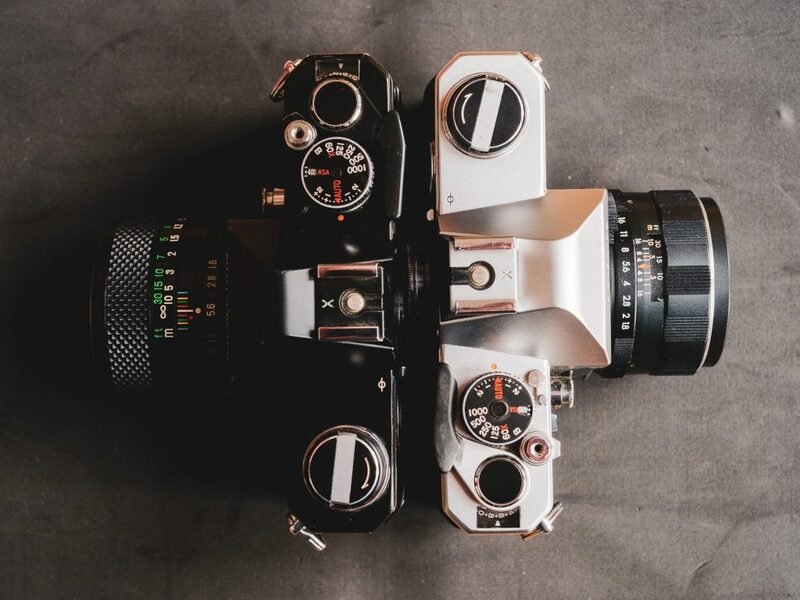 The excellent engineering of the analog cameras of the yesteryears has been sacrificed in favour of ‘ digital technology ‘ to accommodate megapixels and sensors ! What we have today are mostly plastic bodies and hybrid lenses in place of solid metallic bodies and legendary all glass lenses … ! 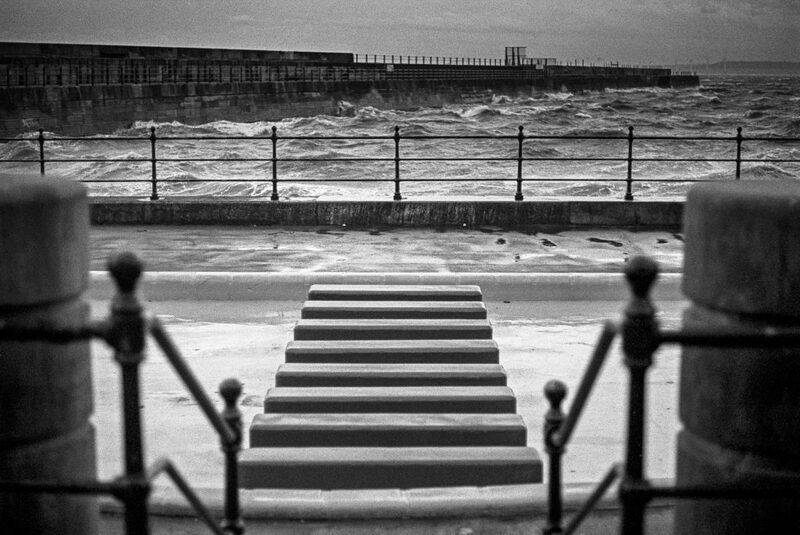 The romance of exposing images on fine emulsions by Kodak, Fuji, Ilford exactly like it is every time has been replaced by peeping at the small LCD screen at the back after clicking every time … ! It is the same Photography that is practised bud without the romance and joy after receiving the prints from the studio or colour lab we used to experience … !!! Hi Krishna. There are some very well made digital models out there, but there is way too much model iteration and much that isn’t made to last. I enjoyed reading your piece on the ST-901 tremendously! I like your images, as well. 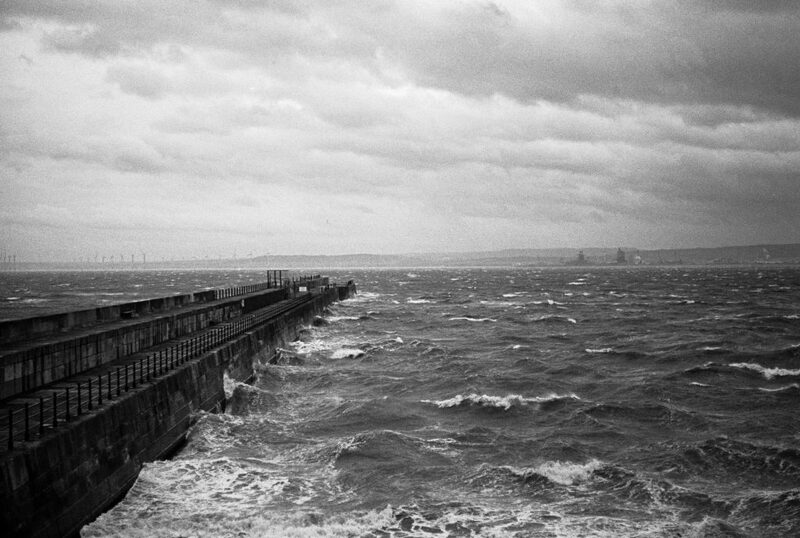 Wow, I love your second to last photograph, with the pier or mole sticking out into an angry sea, and the looming clouds hinting of rain or storm. I am amazed that the electronics in your 901s still work. Interesting, indeed. As for split-image focus screens, Pentax did have such an option for the Spotmatic cameras. In the late 1980s, when I had a Spotmatic II cleaned and overhauled by Pentax (in USA), they installed a split-image screen at minor extra cost. I do not know if any Spotmatic II bodies ever came from a store with the split-image screen or if it was just a repair item. A friend of mine here in town still has that II. Now I am wondering if I should buy it back……. Hi Kodachromeguy. 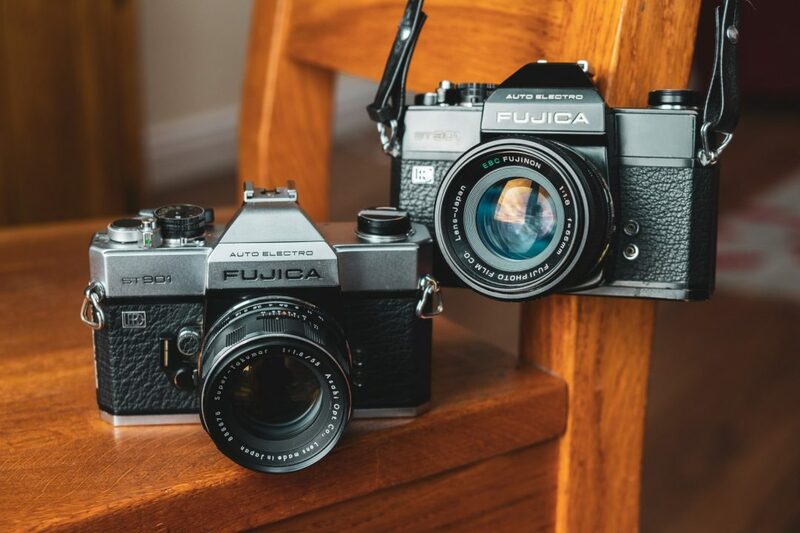 Yes, I feel lucky that both of my Fujica’s electronics still work. 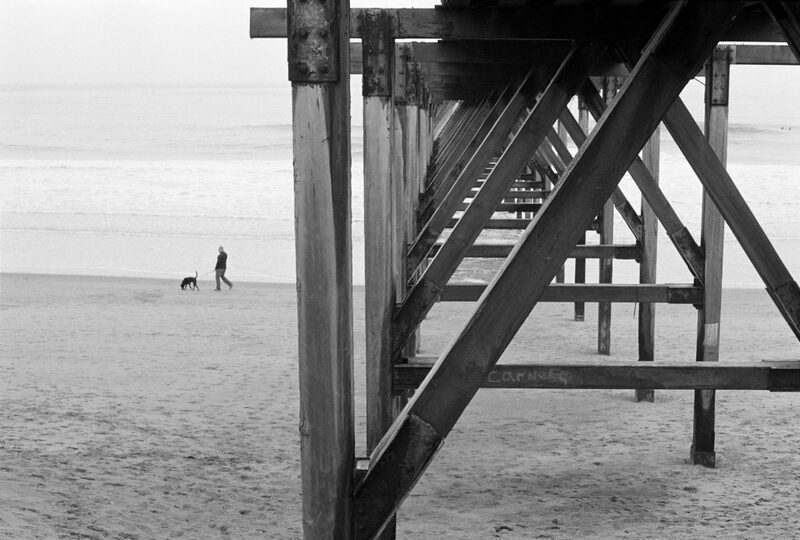 Thanks for the feedback on the images – that’s what it’s about after all; the photographs we make with these things. It was pretty dark by the time I made this image. If I recall right I was leaning on some railings to steady the camera. I didn’t know about the split-image option for the Spotmatic II. Thanks for passing that on. Pentax missed a trick if they didn’t sell them like that. A Fujica ST-605N was my first SLR, and I have fond memories of struggling with match needle metering. I could only dream of the ST901. One note, the AZ1 is an M42 camera. You’re thinking of the AX-1/3/5, which were the first bodies (I’m unsure which of the three was first) to use the X-Fujinon mount. Hi Otto. Yes, I noticed my error as I re-read the piece after Hamish published it. Thanks. Chris, nice write-up on you Fuji’s. I feel the Fuji’s of that era are much underrated today. I once used, and still have, an ST 705W and winder. Being M42 mount, I was able to use some of my M42 lenses, including a very nice Zeiss Sonnar Electric 135mm and Pancolor 50mm electric. Used manually of course. The main issue was no meter coupling, but this wasn’t a great loss as I mainly used the little f3.5/35mm with the coupling pin. The optical quality of this little lens always amazed me. Apart from getting an AX3 a few years back, out of curiosity and because it was going cheap, I’ve not had cause to follow Fujica prices. A quick check on a well-known site and I was indeed surprised at the paucity of lenses listed and the prices asked for some of those that were listed. The little 35mm didn’t show up at all. Incidentally, when AP reviewed a Fujica years ago, can’t recall which model, they did comment on the superb optical quality of an EBC lens, the somewhat unusual f1.6, 5 element standard lens. Again there are a couple of variations of this lens, so can’t say now which model it was. Regarding eyesight correction lenses, these use a 19mm diameter thread and are still available from Fuji UK in most strengths or, failing that, Nikon also used the same mount. I have a Nikon version on my Pro-1. Hi Terry. I have spotted a 35mm EBC on a certain auction site, but no way am I going to fork out the asking price. I use the Nikon correction lens on my X-Pro1 and Fujicas, as I couldn’t get a +1 Fujifilm one for love nor money. A good read an even better selection of images on your instagram feed. Apart from my Pentax 67MLU I was unfortunate in that even the MX bought new had problems after a few short years, and I tend to baby my kit… That said I have always liked Fuji which I use now digitally. After reading this I will try a 901 but I’m betting the used price has just crept up a notch! Hi Michael. Thanks for the feedback on my Instagram images. It’s a bit of a hotch-potch of stuff I have there. On the Fujicas, the only 901’s I currently see available are now in 3 figure amounts. I feel fortunate. All these film cameras that you own and use, what film do you use and where do you find it and how do you get it developed?. Hello Khürt. 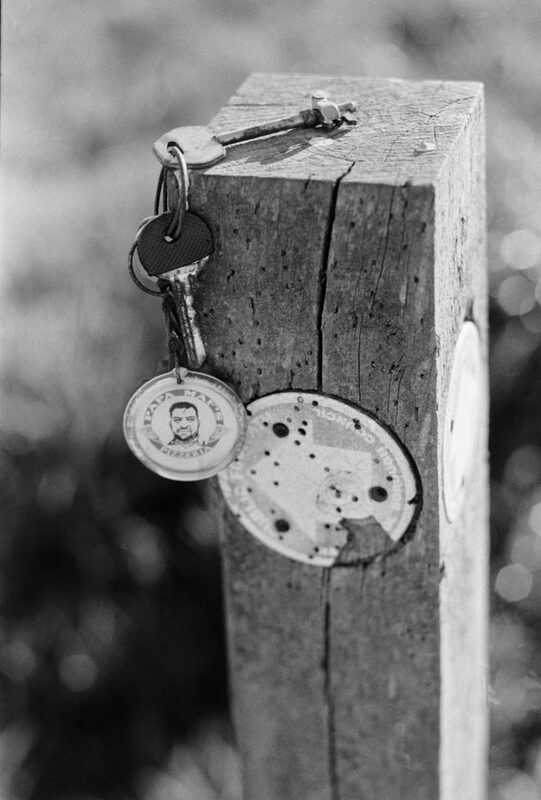 I have tried quite a few different films, including Kodak Double-X, FP4, HP5, Tri-X, Delta, T-MAX, Fomapan 400. I buy from Nik & Trick Photo Services and develop the films myself in the most rudimentary way with a change bag and Paterson tank. The film strips get hung up to dry in the shower cubicle. I then scan them when dry. I like the write-up, and I love the look of this camera. But it’s 2019, and I find the idea of shooting and developing film frustrating. 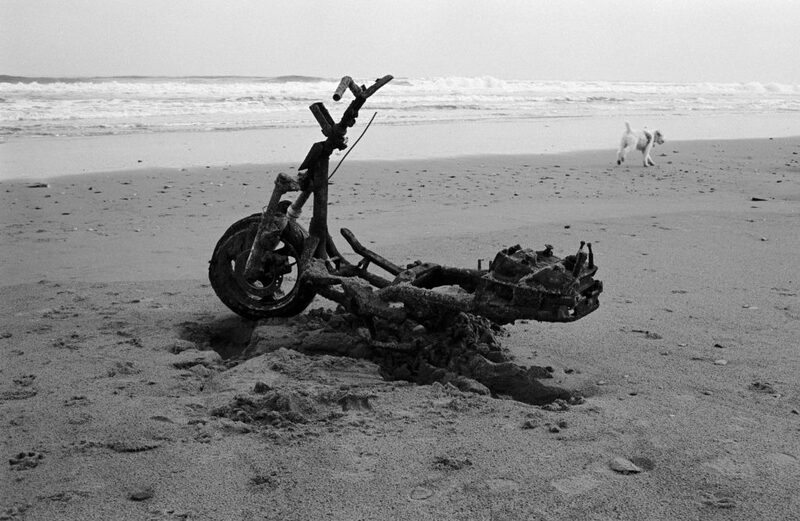 I inhaled all sorts of toxic chemicals when I shot and developed slide film and made prints in the 1980s. I started sending it out to labs and doing the almost interminable wait for photographs in the 1990s. I switched to digital in 1999 and never looked back. I wish someone would produce digital versions of these cameras. Thanks Khürt. I certainly couldn’t shoot film exclusively and there’s no way I could do my current project using film.